Neuroscience is the scientific study of the nervous system. It is a branch of biology that deals with the anatomy, biochemistry, molecular biology, and physiology of neurons and neural circuits. It also draws upon other fields, with the most obvious being pharmacology, psychology, and medicine. The scope of neuroscience has broadened over time to include different approaches used to study the molecular, cellular, developmental, structural, functional, evolutionary, computational, psychosocial and medical aspects of the nervous system. Neuroscience has also given rise to such other disciplines as neuroeducation, neuroethics, and neurolaw. The history of neuroscience that includes, the ancient Egyptians thought the seat of intelligence was in the heart. Because of this belief, during the mummification process, they would remove the brain but leave the heart in the body. The earliest writings on the brain were found in the 1700 BC Edwin Smith Surgical Papyrus. The word "brain" is mentioned eight times when describing the symptoms, diagnosis, and likely outcomes of two people who had head wounds - compound fractures of the skull. Behavioral Neurology encompasses three general types of clinical syndromes: 1) diffuse and multifocal brain disorders affecting cognition and behavior (e.g. delirium and dementia), 2) neurobehavioral syndromes associated with focal brain lesions (e.g. aphasia, amnesia, agnosia, apraxia), and 3) neuropsychiatric manifestations of neurological disorders (e.g. depression, mania, psychoses, anxiety, personality changes, or obsessive-compulsive disorders, which may accompany diseases such as epilepsy, cerebrovascular disease, traumatic brain injury, or multiple sclerosis). These syndromic categories may be etiologically subdivided into either primary (e.g: neurodegenerative) and secondary (e.g. systemic toxic-metabolic) brain disorders, or on the basis of developmental, inherited, or sporadic (acquired) mode of occurrence. Cellular Neuroscience is the study of neurons at a cellular level. This includes morphology and physiological properties of single neurons. Several techniques such as intracellular recording, patch-clamp, and voltage-clamp technique, pharmacology, confocal imaging, molecular biology, two photon laser scanning microscopy and Ca2+ imaging have been used to study activity at the cellular level. Cellular neuroscience examines the various types of neurons, the functions of different neurons, the influence of neurons upon each other, how neurons work together. Neurons are cells that are specialized to receive, propagate, and transmit electrochemical impulses. In the human brain alone, there are over eighty billion neurons. Neurons are diverse with respect to morphology and function. Thus, not all neurons correspond to the stereotypical motor neuron with dendrites and myelinated axons that conduct action potentials. Some neurons such as photoreceptor cells, for example, do not have myelinated axons that conduct action potentials. Other unipolar neurons found in invertebrates do not even have distinguishing processes such as dendrites. Moreover, the distinctions based on function between neurons and other cells such as cardiac and muscle cells are not helpful. Thus, the fundamental difference between a neuron and a nonneuronal cell is a matter of degree. Another major class of cells found in the nervous system are glial cells. These cells are only recently beginning to receive attention from neurobiologists for being involved not just in nourishment and support of neurons, but also in modulating synapses. For example, Schwann cells, which are a type of glial cell found in the peripheral nervous system, modulate synaptic connections between presynaptic terminals of motor neuron endplates and muscle fibres at neuromuscular junctions. One prominent characteristic of many neurons is excitability. Neurons generate electrical impulses or changes in voltage of two types: graded potentials and action potentials. Graded potentials occur when the membrane potential depolarizes and hyperpolarizes in a graded fashion relative to the amount of stimulus that is applied to the neuron. An action potential on the other hand is an all-or-none electrical impulse. Despite being slower than graded potentials, action potentials have the advantage of traveling long distances in axons with little or no decrement. Neurons communicate with one another via synapses. Synapses are specialized junctions between two cells in close apposition to one another. In a synapse, the neuron that sends the signal is the presynaptic neuron and the target cell receives that signal is the postsynaptic neuron or cell. Synapses can be either electrical or chemical. Electrical synapses are characterized by the formation of gap junctions that allow ions and other organic compound to instantaneously pass from one cell to another. Chemical synapses are characterized by the presynaptic release of neurotransmitters that diffuse across a synaptic cleft to bind with postsynaptic receptors. A neurotransmitter is a chemical messenger that is synthesized within neurons themselves and released by these same neurons to communicate with their postsynaptic target cells. A receptor is a trans membrane protein molecule that a neurotransmitter or drug binds. Chemical synapses are slower than electrical synapses. Neurology is a branch of medicine that deals with the anatomy, functions, and organic disorders of nerves and the nervous system. Neurology deals with the diagnosis and treatment of all categories of conditions and disease involving the central and peripheral nervous system. The neurology is subdivided into two parts Autonomic Nervous System and the Somatic Nervous System. Neurology is the field of the neuro science, it is the scientific study of the nervous system. A neurologist is a physician specializing in neurology and trained to investigate, or diagnose and treat neurological disorders.. The neurologist specializing also includes Clinical neurophysiology, Neuromuscular medicine, Neuroimaging, Neurorehabilitation, and Interventional neurology. behavioral neurology. Neurology is a non-surgical specialty; its corresponding surgical specialty is Neurosurgery. A large number of neurological disorders These can affect the central nervous system the brain and spinal cord, peripheral nervous system, the autonomic nervous system and the muscular system. Neurosurgery, or neurological surgery, is the medical specialty concerned with the prevention, diagnosis, surgical treatment, and rehabilitation of disorders which affect any portion of the nervous system including the brain, spinal cord, peripheral nerves, and extra-cranial cerebrovascular system. Neuroradiology plays a key role not only in diagnosis but also in the operative phase of neurosurgery. Neuroradiology methods are used in modern neurosurgery diagnosis and treatment. They include computer assisted imaging computed tomography (CT), magnetic resonance imaging (MRI), positron emission tomography (PET), magnetoencephalography (MEG), and stereotactic radiosurgery. Some neurosurgery procedures involve the use of intra-operative MRI and functional MRI. Neurological Science Journal is a peer-reviewed scholarly journal that objectives to publish the maximum whole and dependable supply of statistics at the discoveries and present day tendencies in the mode of authentic articles, evaluate articles, case reports, brief communications, and so forth. In all areas of neuroscience and making them available online freely with none restrictions or any other subscriptions to researchers international. 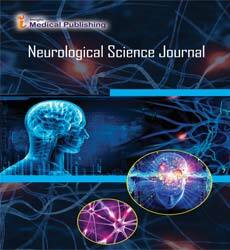 The Journal is intended to be comprehensive, and its main aim is to publish all the papers of neurological science. Neurological Science Journal specializes in the topics which comes beneath the vicinity of neurological research as worried device, neurology, neuropeptides, or gastro transmitter, neurophysiology, cellular & molecular neuroscience, cognitive & behavioural neuroscience, systems neuroscience, neurodegeneration - neurodegenerative sicknesses, neurological issues, neuropsychology, neuropathology, neurosurgery, neuroimaging. Neurological Science Journal endeavours to submit basic, essential and superior improvement research in not only above stated fields however many interrelated sides of translational neurosciences. Additionally the journal is willing to publish the studies on sensory and motor structures, neural development, circadian rhythms, neuroendocrine mechanisms and the neurobiology of reward and motivation. It observe of the apprehensive machine may be carried out at multiple ranges, ranging from the molecular and cell ranges to the structures and cognitive levels. at the molecular degree, the fundamental questions addressed in molecular neuroscience encompass the mechanisms by which neurons express and respond to molecular indicators and how axons shape complicated connectivity styles. at this level, gear from molecular biology and genetics are used to apprehend how neurons expand and the way genetic modifications have an effect on organic features. Systems neuroscience consist of how neural circuits are formed and used anatomically and physiologically to provide functions which includes reflexes, multisensory integration, motor coordination, circadian rhythms, emotional responses, mastering, and memory. in different phrases, they deal with how those neural circuits function and the mechanisms through which behaviors are generated. Neurology, psychiatry, neurosurgery, psychosurgery, anesthesiology and ache remedy, neuropathology, neuroradiology, ophthalmology, otolaryngology, clinical neurophysiology, addiction medicine, and sleep medication are some scientific specialties that in particular address the illnesses of the apprehensive machine. the bounds among those specialties have been blurring recently as they're all influenced with the aid of fundamental research in neuroscience. Mind imaging additionally enables objective, organic insights into intellectual illness, which could lead to faster analysis, extra correct prognosis, and help determine patient development through the years. Affective neuroscience is the have a look at of the neural mechanisms concerned in emotion, usually via experimentation on animal fashions. This consists of medical specialties which include neurology and psychiatry, as well as many allied health professions which includes speech-language pathology. Neurology is the scientific uniqueness that works with problems of the nervous device. Psychiatry is the scientific distinctiveness that works with the issues of the mind—which encompass numerous affective, behavioral, cognitive, and perceptual problems. Neuroanatomy the take a look at of the anatomy and stereotyped organisation of fearful structures.heir neuroanatomy is consequently better understood. in vertebrates, the apprehensive system is segregated into the inner structure of the mind and spinal cord (together called the imperative worried gadget, or cns) and the routes of the nerves that connect with the rest of the frame (known as the peripheral frightened gadget, or pns). Behavioral neurobiology/neuroscience is likewise referred with unique names like biological psychology, biopsychology, or psychobiology. it can be described because the utility of the concepts of biology (mainly neurobiology) and it ambitions at the observe of physiological, genetic, and developmental mechanisms of conduct in human beings and non-human animals. Computational neuroscience is the study of brain function in terms of the information processing properties of the structures that make up the nervous system. It is an interdisciplinary science that links the diverse fields of neuroscience, cognitive science and psychology with electrical engineering, computer science, mathematics and physics. Computational neuroscience is distinct from psychological connectionism and machine learning in that it emphasizes descriptions of functional and biologically realistic neurons (and neural systems) and their physiology and dynamics. These models capture the essential features of the biological system at multiple spatial-temporal scales, from membrane currents, protein and chemical coupling to network oscillations, columnar and topographic architecture and learning and memory. These computational models are used to frame hypotheses that can be directly tested by current or future biological and/or psychological experiments. Neurocritical care or neurointensive care is a branch of medicine that emerged in the 1980s and deals with life-threatening diseases of the nervous system, which are those that involve the brain, spinal cord and nerves. The doctors who practice this type of medicine are called neurointensivists, and can have medical training in many fields, including neurology, anesthesiology, emergency medicine, or neurosurgery. Common diseases treated in neurointensive care units include strokes, ruptured aneurysms, brain and spinal cord injury from trauma, seizures (especially those that last for a long period of time- status epilepticus, and/or involve trauma to the patient, i.e., due to a stroke or a fall), swelling of the brain (intracranial edema), infections of the brain (encephalitis) and the brain's or spine's meninges (meningitis), brain tumors (especially malignant cases; with neurological oncology), and weakness of the muscles required to breathe (such as the diaphragm).